Turmeric has a long tradition in Chinese and Asian Indian medicine as a powerful anti-inflammatory. It has also been used throughout history as a textile dye. It is our all-time favorite spice to add to juice and smoothie recipes because ongoing research reveals promising benefits for fighting cancer and reducing disease-causing inflammation. Turmeric has a strong taste that’s not very pleasant by itself, so add just a bit to juice recipes when you use it. This spice has also been found in preliminary studies to boost memory. Best known as one of the ingredients used to make curry, it also gives hotdog mustard that bright yellow color. 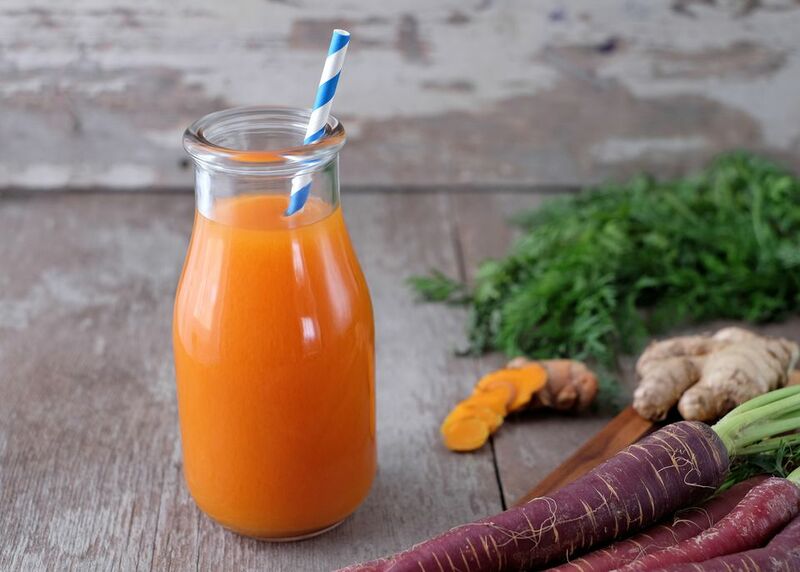 Try this delicious juice recipe with turmeric and no added sweeteners. Run on high for 5 minutes. Drink your juice as soon as possible for the highest nutrient content.